Three Speed; Reversible with Thermostat. Select speed (1-low, 2-medium or 3-high). 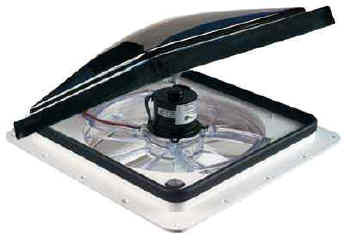 Placing the IN/OUT switch in the center (neutral) position can turn off fan blade. This model has a built-in thermostat. The fan will operate at one of three preselected speeds when the thermostat calls for cooler air. Once the thermostat is satisfied, the fan shuts off automatically. Designed to ensure consistent temperatures. Perfect for use when you leave your pets behind or while sleeping.